We get many interns that pass through our bakery. They are all talented in some way or another. One of our interns Ming, who is finishing up his internship with us this Friday, is one such talented individual. 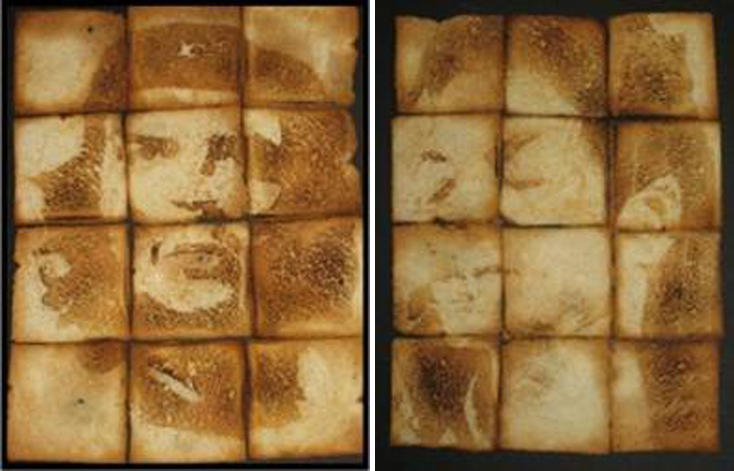 When he submitted his materials for consideration, one of his “pieces” was a carving of Michael Jackson and Che Guevara on toasted bread. It was very impressive. Wonder bread toast carvings by our intern Youming Yeap. Che Guevara is on the left and Michael Jackson on the right. 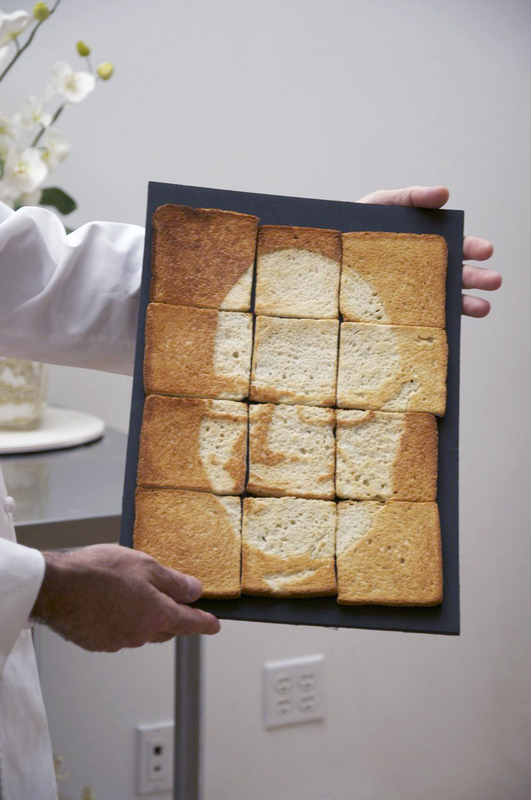 As a thank you to Ron for doing his internship at the bakery, he did a rendering of Ron out of toast. I have to say, it’s pretty amazing. 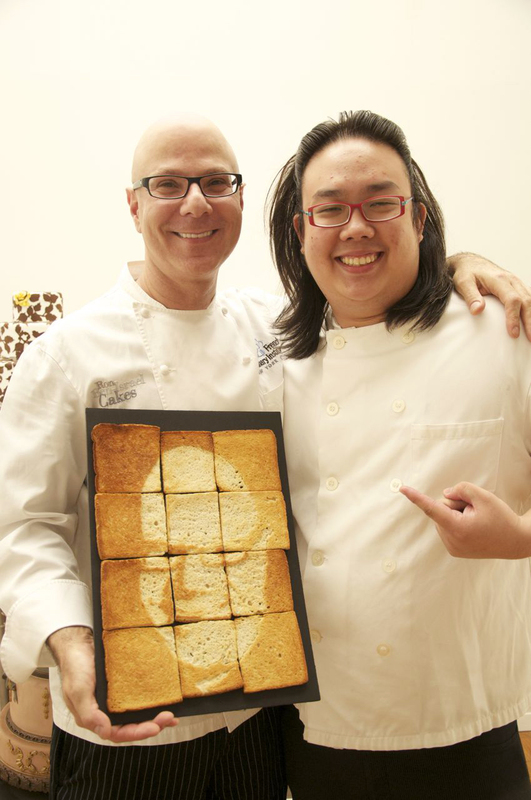 Our own Ron Ben-Israel carved into toast. Thank you Ming for all of your hard work, you did a great job! Best of luck to you Ming. You are truly very talented. I LOVE THIS. on so many levels!